Three Govs found their ways into the Ohio Valley Conference honors following their performances in volleyball’s undefeated week. Kristen Stucker week earned her setter of the week as she racked up 110 assists over the three game span. Stucker’s highest amount of assists came in her game versus UT Martin with a 41-assist outing. Currently, 41 is her best of the season in conference play. She added 30 assists against Middle Tennessee and 39 versus Southeast Missouri. Stucker also racked up a total of 25 digs over the week. Brooke Moore earned herself OVC Newcomer of the Week led by 18 kills over the week, 10 of those coming in the clash with the Blue Raiders. 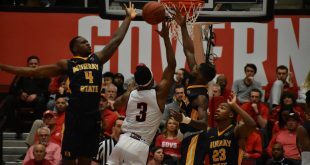 Moore also recorded three blocks in the 3-0 win over UT Martin. 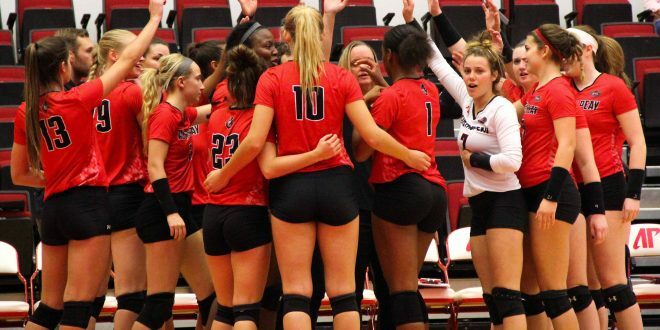 Ashley Slay led the charge for APSU, accumulating 35 kills over the 3-0 week. 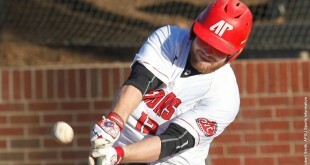 During the Govs trip down to Murfreesboro to clash with MTSU, Slay recorded a 0.588 hitting percentage. That was followed with a 0.414 hitting percentage against Southeast Missouri and .300 attacking percentage versus UT Martin.